The Adairville Volunteer Fire Department located and purchased the city's original 1927 General Motor Truck Corporation-Yellow Cab Company built fire engine in August 2016. With its original Buick engine, the truck still runs! The department could not use tax dollars to purchase it, so fund raisers were conducted and by December 2016 enough had been raised to purchase the truck for $8,500. A restoration of the truck by a previous owner saw the truck painted yellow. However, two citizens of the community who were members of the VFD when the truck was in service say the original truck was red. “Estimates to properly repaint, purchase historically accurate items like those shown in pictures of the truck when it was in service, plus insurance, licensing, etc. require us to raise approximately $15,000,” says Brent Holman, who is leading the restoration effort, noting the population of Adairville is currently 850. In an effort to raise the funding, Holman and the committee he leads have established a GoFundMe fund raising page. 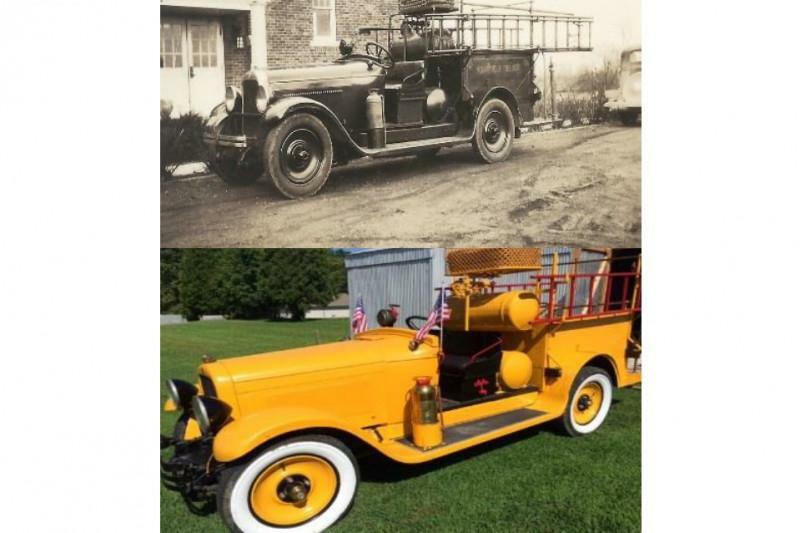 You can find more information by visiting the GoFundMe page at, https://www.gofundme.com/1927-fire-truck-restoration, or searching VFD 1927 Fire Truck. “We are attempting to raise $15,000 and if just 15,000 people across the county donate $1 we will meet our goal,” Holman reasons. Verification of the request can be made by contacting the Adairville City Hall.